With Easter coming up next weekend, I wanted to give you guys some inspiration! I am loving the idea that spring is finally here (though it’s snowed the last four days here in NY) and these inspiration photos are a fun way to get into the spirit! 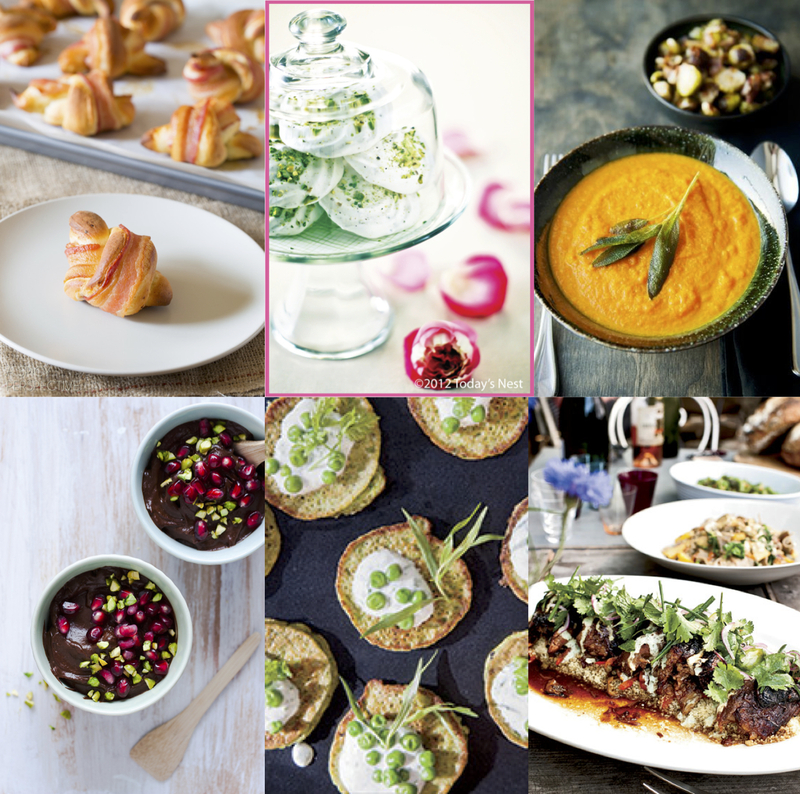 I’ll include some fun DIYs + décor, some cocktails, food + desserts for you guys along with some of my projects + recipes in there. 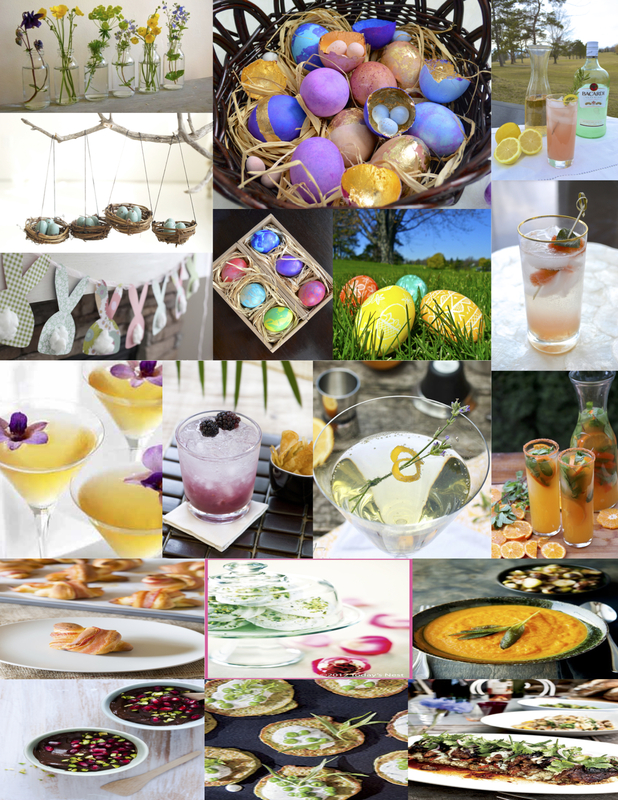 If you want even more, check out my inspirations post from last year! 1. I am LOVING the idea of taking simple single stem flowers and putting them into milk bottles and arranging them like that. 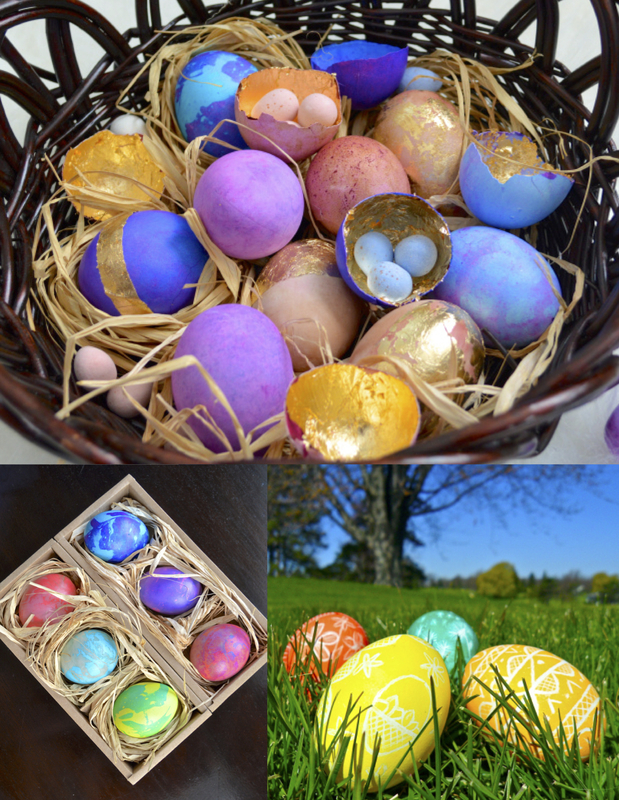 This could be cute lined up along a windowsill or down the middle of your Easter table! 2. How cute are these little hanging nests? I think this would be cute hanging but also sitting on the table. You could even make these and use them as place cards! 3. 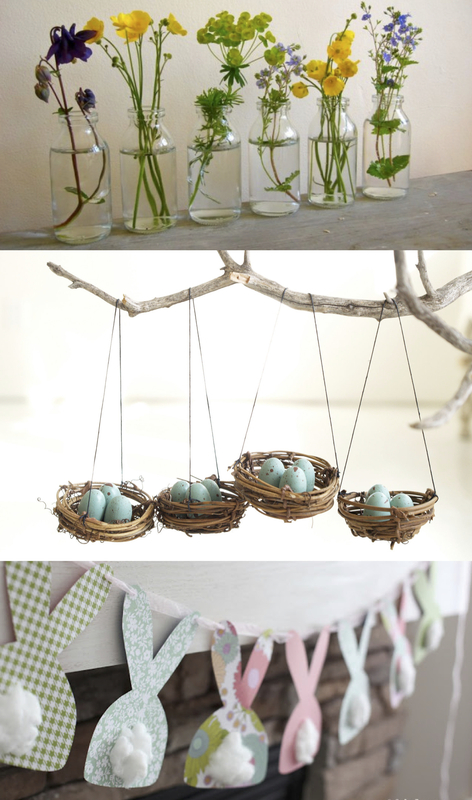 This DIY garland is SO cute I think it would be perfect for Easter! 1. 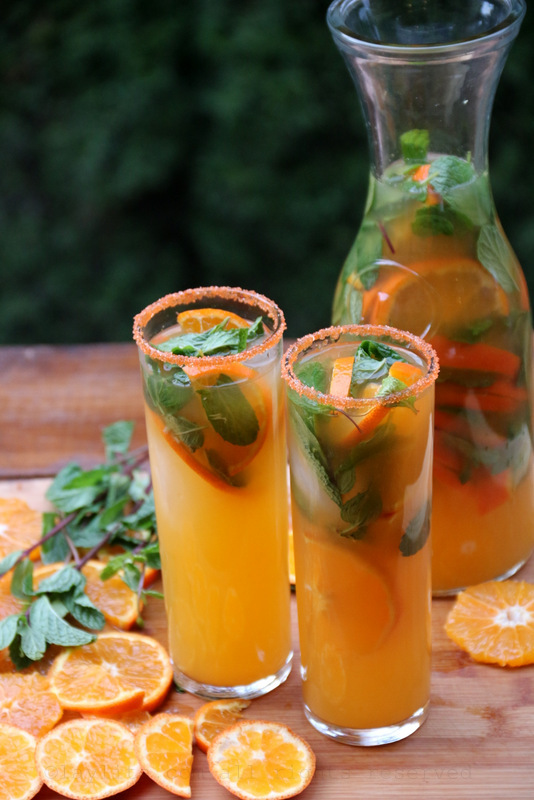 This cocktail sounds so bright + delicious, it has lemon flavored vodka, white grape juice, basil + mint leaves and elderflower liquor! 2. 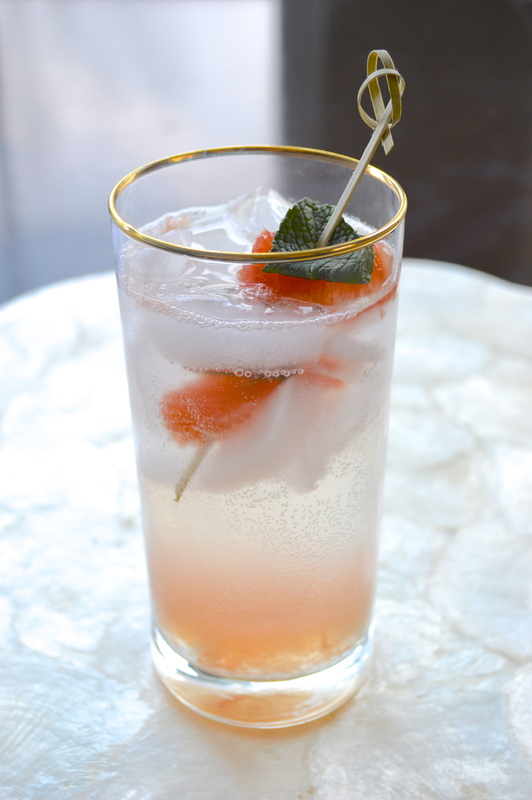 Gin, blackberry brandy + mint are the players in this deliciously refreshing cocktail! The color is perfect for the occasion! 3. 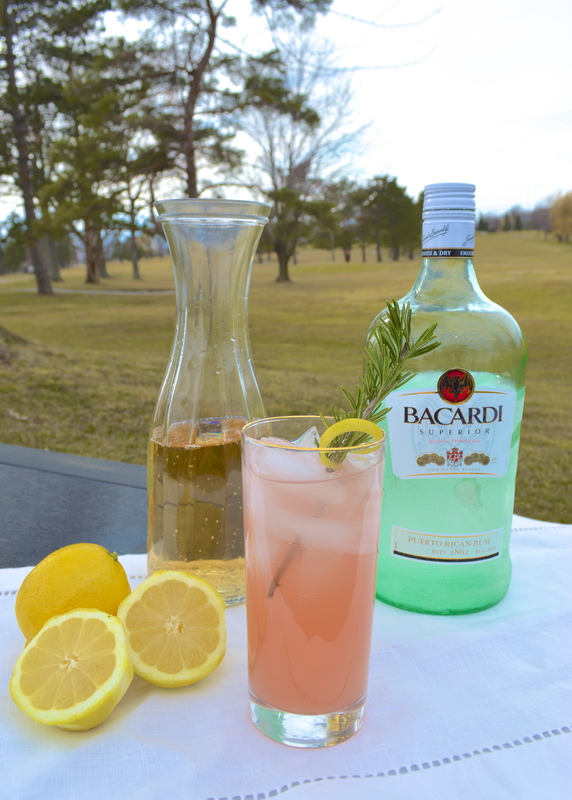 This lavender Meyer Lemon Tom Collins cocktail sounds like spring in a glass! 3. Carrot + ginger soup. 4. Chocolate + avocado mousse. 5. Pea pancakes with herbed yogurt. 6. Slow cooked leg of lamb with spiced yogurt + herbs. You can also try my Carrot Lemon Risotto! this is very inspiring! Those parmesan-bacon knots look like delicious little appetizers.